﻿ Lancair* Evolution and Lancair* IV PT6 Firewall forward Package | Aerotek Aviation Inc. Including all components required to install your PT6A in your Evolution.- Stainless baffling, -all engine accessories, – MCU… call or email for more details. If you need a PT6A engine for your Evolution…. We have many PT6 engines available from fully Overhauled to Serviceable (Fresh Hot Section and Test cell) for your Evolution. Visit our PT6 inventory section or contact us for more details. All our PT6 engines have been Overhauled or inspected by an FAA PT6A approved facility in USA. 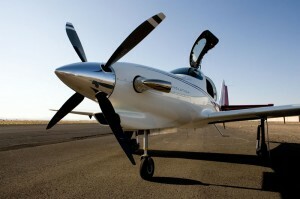 Are you thinking about a Piston powered Lancair* Evolution? For the same engine price you can have the reliability and safety record of a PT6A? Check out our ex-military PT6 550 SHP fully inspected engines complete with fresh hot section. Why choose a piston engine with potential shock cooling and higher maintenance compared to a PT6A turbine engine for the same price? If you are on a budget, this is also a great way to start turbine power and have the potential to upgrade to bigger PT6A’s with only 3 days downtime! Four or five blades propeller available for Lancair* Evolution PT6. Order your MT-Propeller from us now and enjoy an additional discount.